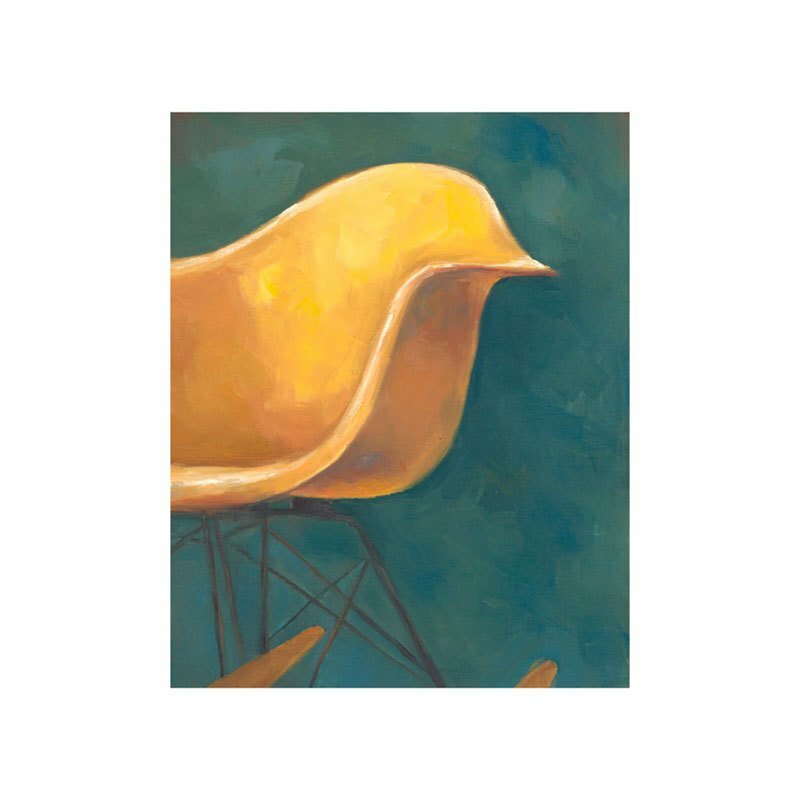 "Yellow Eames Rocker was inspired by the iconic chair designed by Charles & Ray Eames in 1948," says the artist. "Growing up in California, I have long been inspired by the nostalgic idea of the classic California dream from the mid-20th century. This concept has become abstracted a bit as I have moved from painting objects and architecture and into capturing the essence of light in water, but the feeling they evoke are still very much reminiscent of a sunny summer day. Each piece is directly inspired by a particular experience, and is for me a vivid memory of the moment of inspiration. I feel the most alive when exploring new places, and as a result my work is a direct reflection of the moments when life is at it’s best.